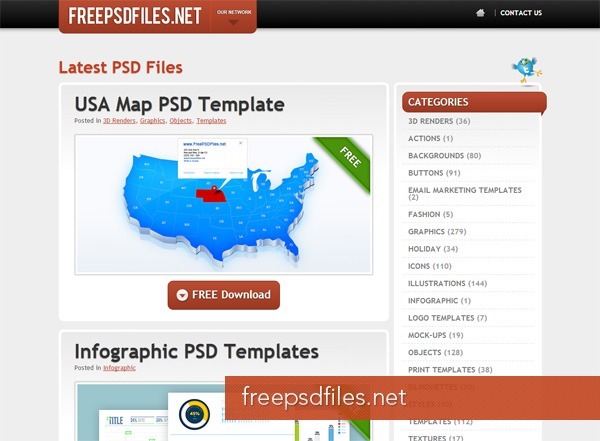 365psd consistently publishes high-quality PSD files for you to download. Whether you’re looking for specific user-interface components like web buttons or entire UI kits, you’ll find it on this community-driven site. 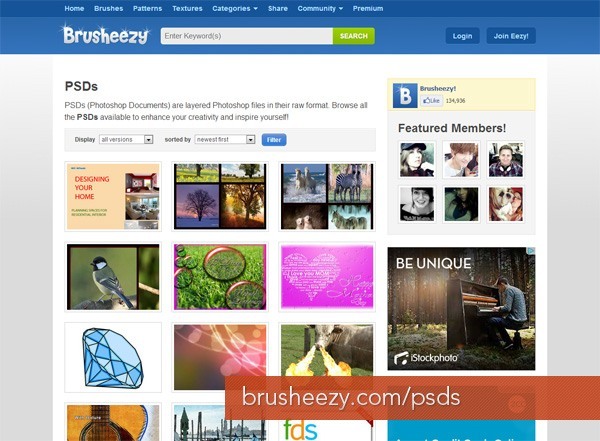 Brusheezy is a premier resource and community site for artists seeking to find user-contributed free PSD resources. Though they’re most known for their Photoshop brush libraries, they have also have a huge collection of over 300 free PSDs. 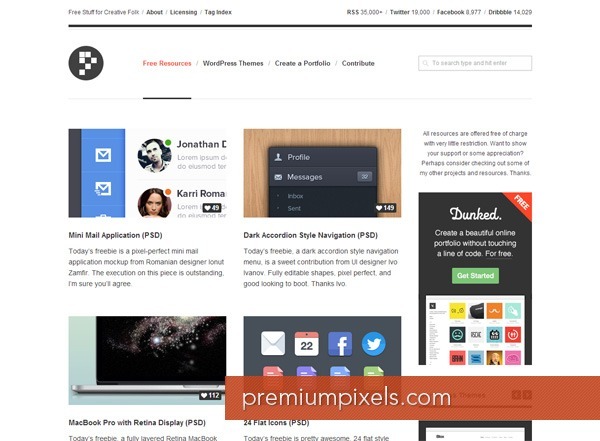 Web designer Orman Clark is the creator of Premium Pixels, a top online destination for those in search of cream-of-the-crop, free design resources. You’ll find a big range of free PSDS on this site, like the Dark UI Kit (PSD) and even this 13-inch Apple MacBook Air PSD. You probably know of Dribbble already, an exclusive site for designers where we can share screenshots of our work. 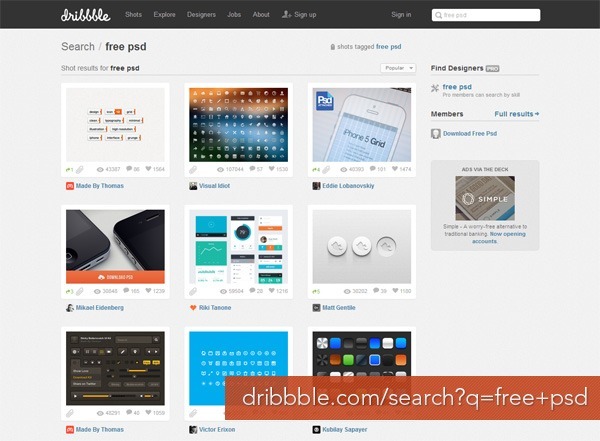 But did you know that you can find a lot of PSDs on Dribbble? A simple search using terms like “psd” and “free psd” will lead you to a ton of high-quality PSDS. 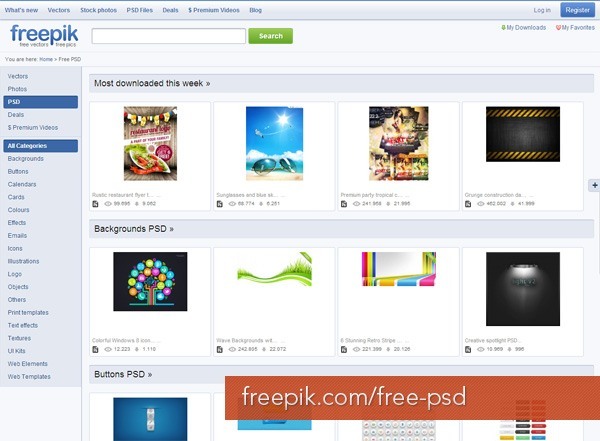 Freepik, a search engine that helps graphic and web designers locate high-quality graphics, has a special section that indexes all the free PSD files they have on the site. Having served over 91 million downloads and having indexed over 1.4 million design resources — there’s a good chance you’ll find what you’re looking for at the site. 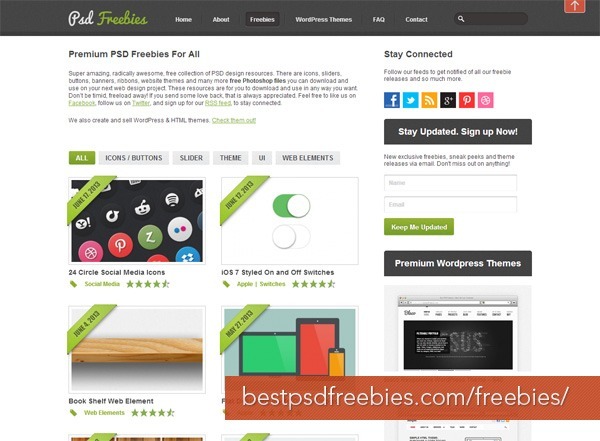 Best PSD Freebies is a website where you can discover free PSD design resources. It’s by Canadian web designer Michael Reimer, whom I’ve had the pleasure of working with through our partner site, Six Revisions. What PixelBin lacks in the quantity of PSD freebies they’re offering (relative to the other sites on this list) the site more than makes up for in terms of quality. Though they only have around 30 free resources, they’ve already served 88,000+ downloads — a testament to the goodness of their PSDs. Though Designmoo doesn’t strictly dish out free PSD files, it’s hard to write an article like this without mentioning this design resource site for two reasons. 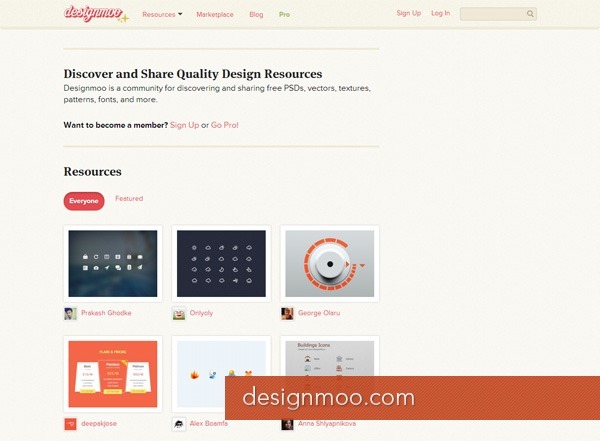 First is that Designmoo offers superior-quality design resources. Secondly, among the different types of user-contributed design resources they make available for free, many of them are PSDs. 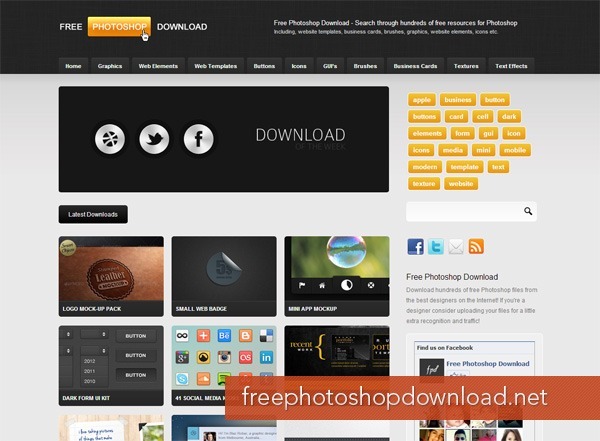 This site collects and features hundreds of free Photoshop files that the sites owners have found on the Internet. Right now, they’ve steadily amassed a collection of over 200 free Photoshop files. 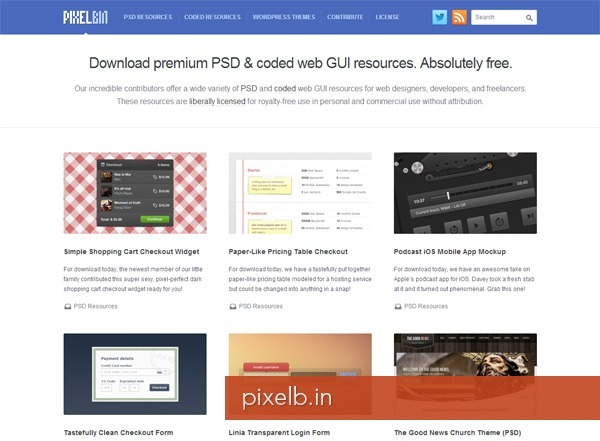 This site has a wonderful hoard of free PSD files — templates, icon sets, UI sets, graphics, you name it, they have it. What I like about this site is that the PSD previews are nice and large, making it easy to spot the freebies I’m looking for.